Hidden in the small village of Urville in the southern department of the Aube, Champagne Drappier is far from what most people associate with the “heart of Champagne”. Yet they are right at the pulse of Champagne’s historical roots. Located closer to Burgundy than to the Marne department, in a region that has never been under consideration for Premier Cru or Grand Cru status, they had to find a different way to make a name for themselves. Visitors coming to Urville to sample the Drappier champagnes in their place of origin are warmly welcomed. Michel Drappier, proud family heritage keeper, is a laid-back character. He is aware that the village is not on everyone’s map, being so far out in the countryside of the Aube. “Until GPS arrived, we had way fewer visitors because people just couldn’t seem to find us”, he jokes. One of the 7th generation of winegrowers, his family roots date back to 1808. It was his great-great-great-grandfather François, working as a lumberjack for the Cristallerie Royal de Champagne only a few kilometers away, who decided to give winegrowing a go. François dreamed of creating wines that could be poured into all those magnificent carafes and fancy champagne glasses that were manufactured at the Cristallerie. When he settled in Urville, he bought around 1,5 hectares of land planted with vines and launched a family history that continues to this day. Under Napoleon I, Europe was subject to continual warfare and people were extremely poor. Setting up a business handling its own vinification was out of the question. So the first generations of the Drappier family sold their grapes to the wealthier families of the Champagne, such as the Heidsiecks, the Chandons and later, Veuve Clicquot. In the 1920s, when the region was recovering from the phylloxera that had ravaged most of Champagne’s vines, followed immediately by World War I, Michel’s grandfather, Georges, introduced a massal selection of Pinot Noir called “Pinot Fin” to the family vineyards, producing a finer Pinot Noir with dark red fruit and violet flavors, like those found in the wines of the Côte d’Or in Burgundy. 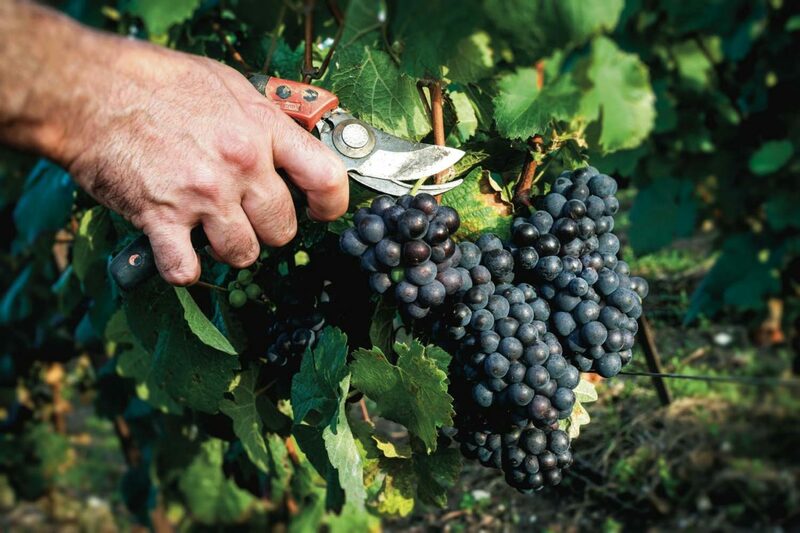 Pinot Noir was a curiosity in Champagne at that time causing many a snigger among the locals, but it didn’t take long for the region to be replanted, step by step, with quality grapes like Chardonnay, Pinot Meunier and Pinot Noir, vindicating George’s decision over the following decades. Today, around 70% of the Aube is planted with his grape of choice. The wider global success of the name Drappier started with the generation of Michel’s father, André, who is still happily involved at the age of ninety. In 1952, André Drappier launched “Carte d’Or”, the emblematic non-vintage champagne that still accounts for the lion’s share of the 1,6 million bottle production per year. 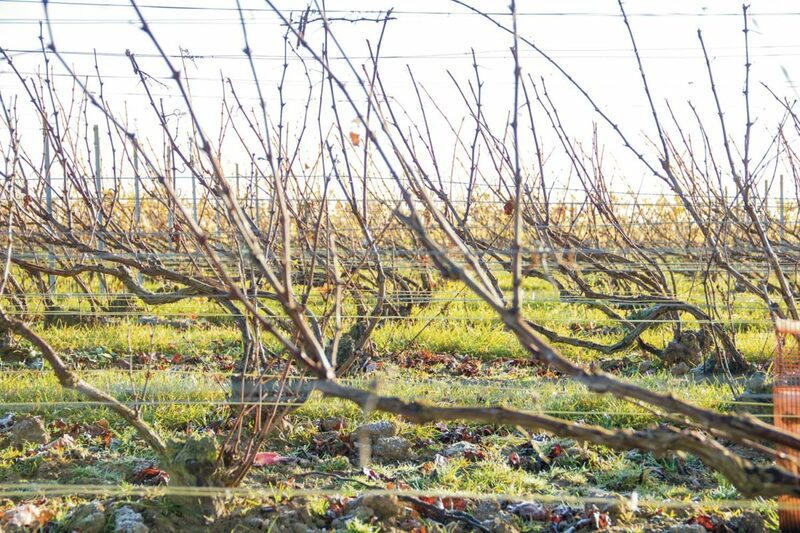 Expanding the business over the years, he also decided to plant a few plots of more frost-resistant Pinot Meunier after the historical frosts of 1957 in which 95% of the vintage’s yields were destroyed. Major changes followed with the next generation. Having studied oenology in Beaune, Burgundy, Michel adopted an approach that was more focused on quality, and the expression of terroir. His goal was to break away from the security-driven generation with their dream of large production numbers, and create a more gastronomic style of champagne that would find its way onto the best tables of France and other countries around the world. The transmission from father to son wasn’t always easy. “There were many discussions and arguments,” Michel sighs, “and sometimes he’d say ‘Stop! This is no good!’ and get angry with my choices. But we love each other dearly, and have always managed to come to an understanding ultimately”. Work in the cellar proved to be the main cause of friction. 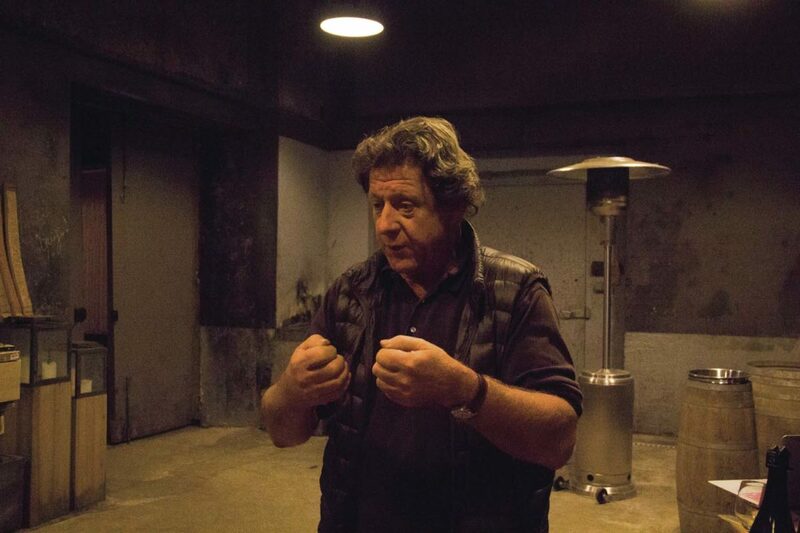 Michel pursued his concept of a more natural and organic way of winemaking, aiming for a unique character and expression in his champagnes. “My father had always had a 1960s approach to winemaking, more industrial and easy-drinking, with very democratic sugar levels to please a maximum number of people in order to maximize production. 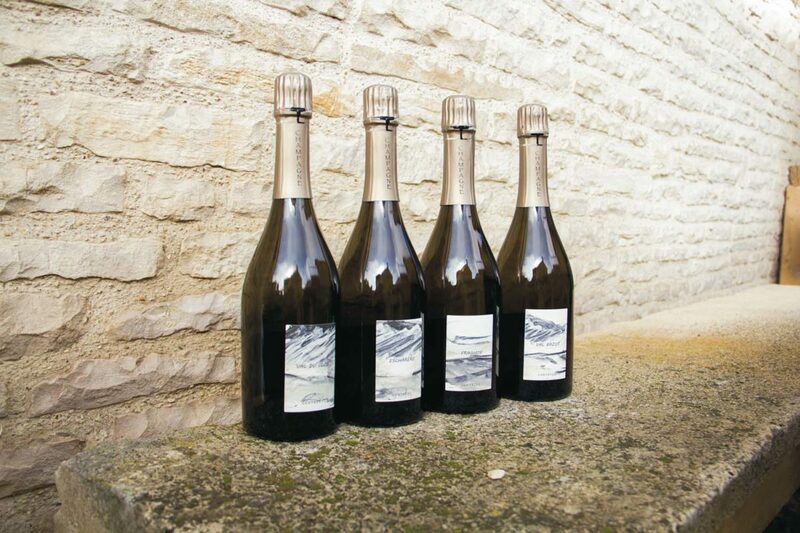 He adapted the style of our champagne to suit the palate of our clients”, Michel summarizes in the presence of André. 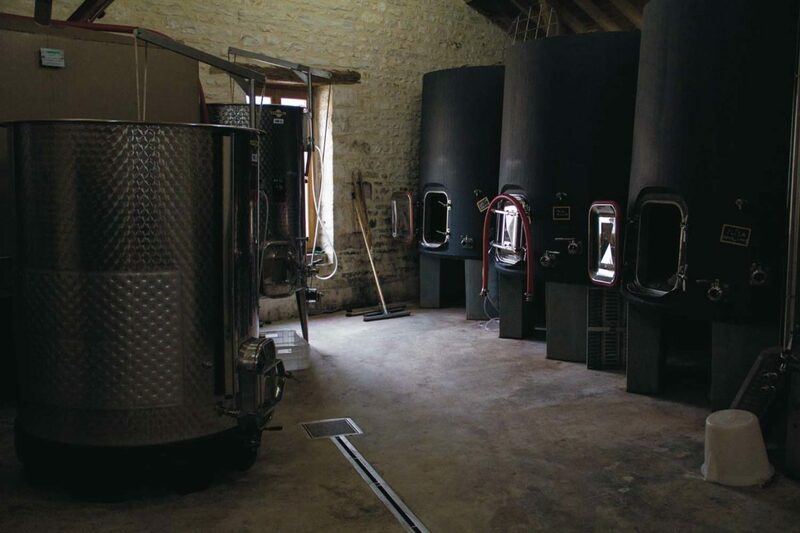 The responsibility for vinification and the cellar was passed quickly to Michel to avoid any further conflicts, but the turnover of the business slowed somewhat. The first harvest Michel had full responsibility for was that of 1979, and he has been managing the business for 20 years now. Despite a transformative phase in the family business, André Drappier acknowledges the changes his son has brought about. “My ambitions were much more limited. When I started with my wife after World War II, we didn’t have much and weren’t a business of the size we are today so we certainly had different objectives.” And then he adds with an affectionate smile, and just a hint of strictness in his voice for Michel’s benefit, “My son has done and is still doing things I would never have”. “It’s always been about the family. Today we’re six Drappiers from three generations under one roof. That’s a lot. In fact, sometimes it’s too much,” he says, and laughs. Today, six members of the Drappier family work hand in hand: Michel and his wife, his father, and his children. Charline, Hugo and Antoine will be the 8th generation to take over at the champagne house and are already involved in the running of the business. What keeps the generations together is their love for their land with its terroir and remarkable history. The cellars of the house were built in the 12th century by Saint Bernard de Clairvaux, a monk who had spent three years at Cîteaux, the mother house of the Cistercian order to which Clos de Vougeot in Burgundy belongs. They were the first wine cellars of Champagne where Morillon Noir, a predecessor grape of Pinot Noir, was turned into red wine. The sparkling wines of Champagne didn’t exist yet: sparkle was merely an incidental phenomenon. 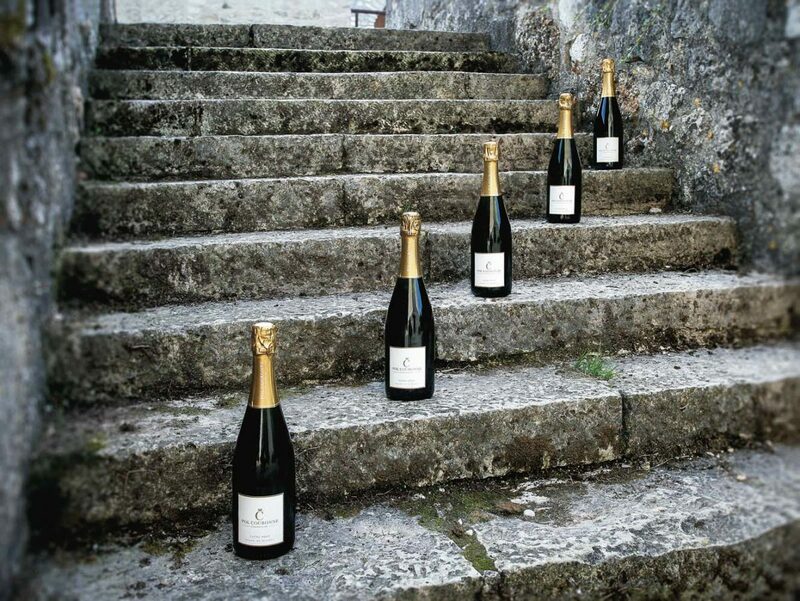 In 2015, Champagne Drappier celebrated the 900th birthday of these ancient cellars.